As part of the Floating Harbour 200 celebrations Local Journeys organised three different schools projects. This project with year 6 of Hannah More Primary School took place in February 2010. It was a collaboration with Bristol Ferry Company and Bristol City Museum Education Department. The children went on an exploration of the City Docks on one of the Bristol Ferries. The children had blank maps just showing the areas of water. Onto these they marked bridges, old warehouses and cranes. At the Cumberland Basin they left the boat and visited the lock gates. Understanding the relationship between the tidal river, the role of the locks and the Floating Harbour was a particularly important part of the project. When the children returned to the school they did further research and then made web pages about what they had discovered. The Museum staff had brought along a wide array of objects, some of which had been dredged up from the Docks and others that might have been! The children enjoyed finding out what the objects were and speculating on how they might have been lost. Very quickly they were making stories. Martin and Thomas led some story-making exercises that included different ways of drawing, making storyboards and eventually creating some illustrated stories. Some of these were very strange indeed (you will be able to read and see some of these soon). 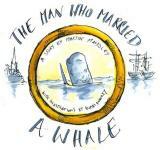 Martin and Thomas had some time in the project to take some of the ideas that were generated during the workshops to collaborate on their own story - 'The Man Who Married a Whale', which is set in the Floating Harbour. Click to open the PDF of the story.